"One day, I had an idea. At first, I didn't think much of it. It seemed kind of strange and fragile. I didn't know what to do with it. So I just walked away from it. I acted like it didn't belong to me. Kobi Yamada and Mae Besom's award-winning and best-selling 2014 picture book is an imaginative rendering of what happens when we have an idea and choose to foster it. At first, the child narrator is worried about their idea and what others will think of it. The child tries to hide the idea away and pretend nothing has changed, but the idea feels magical and it makes the child feel happy. As the child's confidence grows, so too does the idea. Though not everyone responds encouragingly to the idea--and in fact some criticize it--the narrator overcomes fear by choosing to instead protect, care for, and give attention to the idea helping it flourish and soar to new levels. 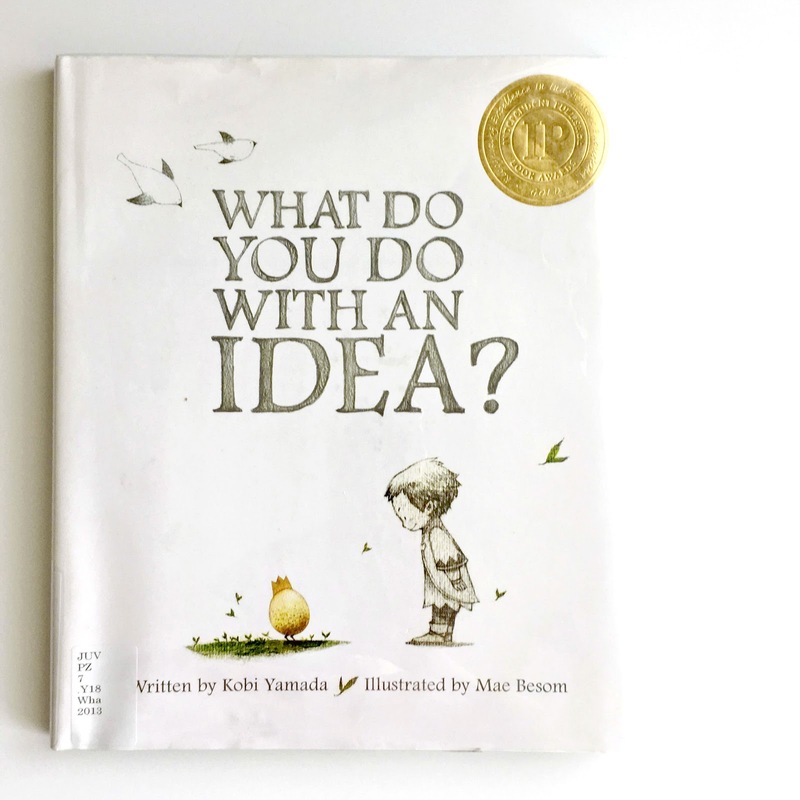 Kobi Yamada's language is kid-friendly and simple enough for a child to read on their own, though the story makes for a great parent and child to read together to encourage conversation thereafter. The main character is purposefully rendered without use of male or female pronouns so that all child audiences can more easily relate and identify to the story's message. Besides the inspiring message, Mae Besom's illustrations are a lovely combination of pencil and watercolor. The child narrator's world is mostly black and white and bare until the idea (a crown-topped egg) arrives and brings with it color and a sense of magic. 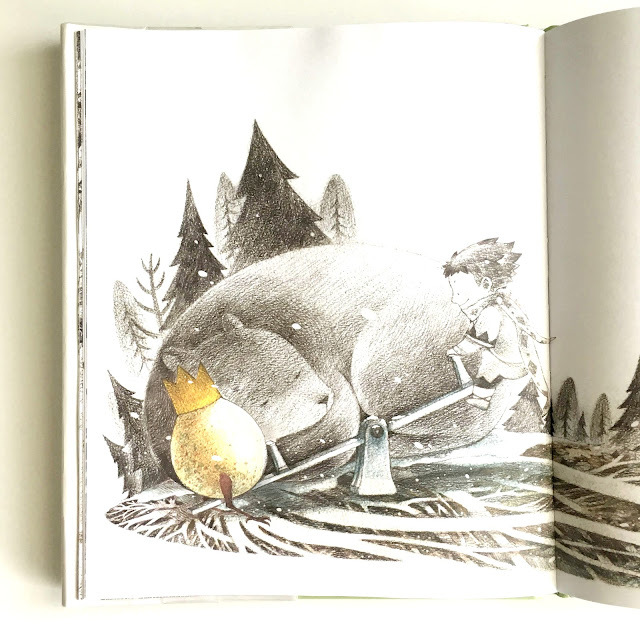 As the child nurture's the idea and it grows in size, the full-page illustrations increase in color, warmth, and detail. 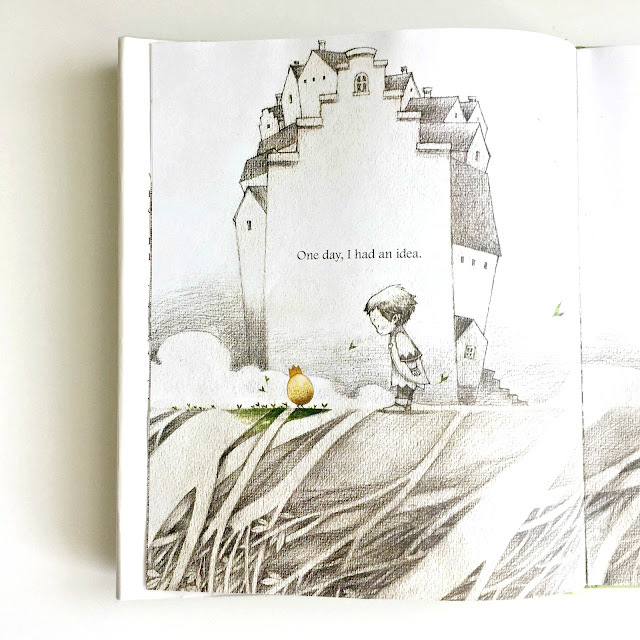 I really enjoyed this simple yet lovely picture book. If you're a fan of Yamada and Besom's collaboration, you can check out their 2016 follow-up What Do You Do With a Problem?